Greenhouse Glass - Always in Stock - Cut While U Wait! We always have plenty of Greenhouse Glass Panels in Stock. Greenhouse Glass is also referred to as Horticultural or Hort Glass. It is 3mm in thickness and is mostly sold in 24″ (610mm) by 24″ (610mm) square panels. We can, however, cut glass to size and shape required. Greenhouse Glass can be cut while you wait. 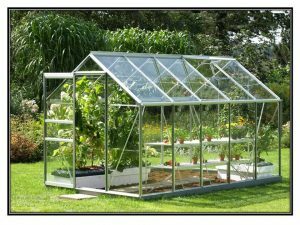 Glass is perfect for a new greenhouse or as a replacement pane. We also sell the Butterfly Clips for easy Installation. Toughened Greenhouse glass is also available & is 4 times stronger than standard Glass- Ask In-store!